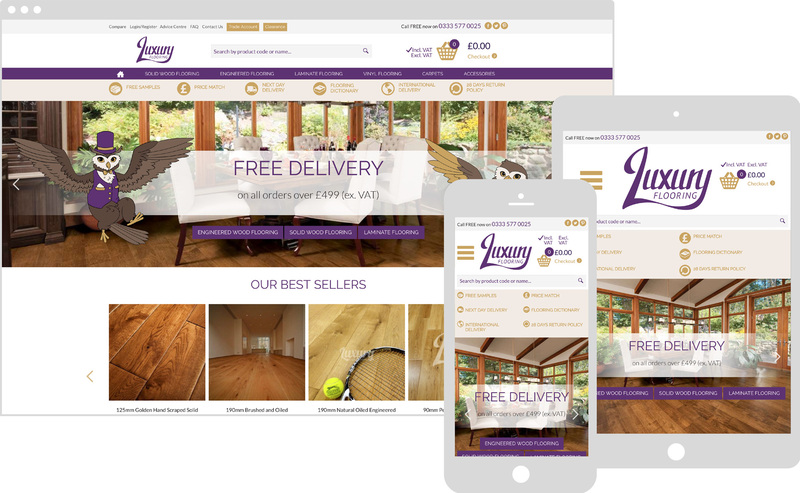 Luxury Flooring wanted a Magento site to house over 5000 products. 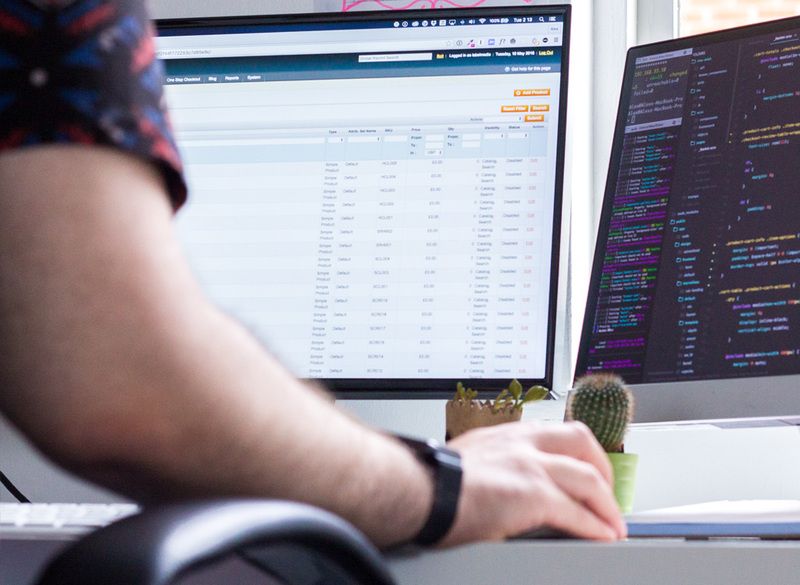 We created an easily navigable but quirky site, which provided key information and an effortless experience, aiming to up conversions and customer satisfaction. 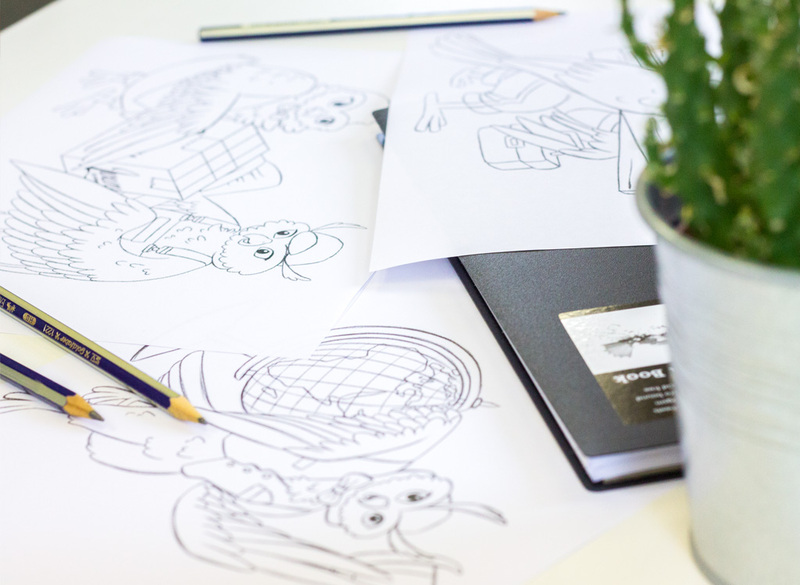 On top of this we we redesigned their logo, and added some fun, brand-related illustrations to bring their site to life. 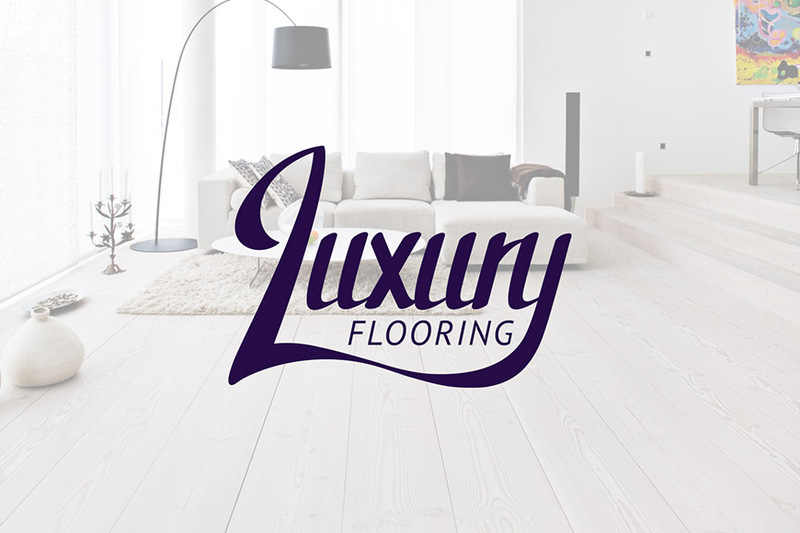 We wanted the logo to remain recognizable to maintain familiarity with the brand, but “Luxury Flooring and Furnishings” cluttered the existing design. We redesigned the logo in a curvaceous, elegant way to solve this problem. The Marilyn Monroe of logos. 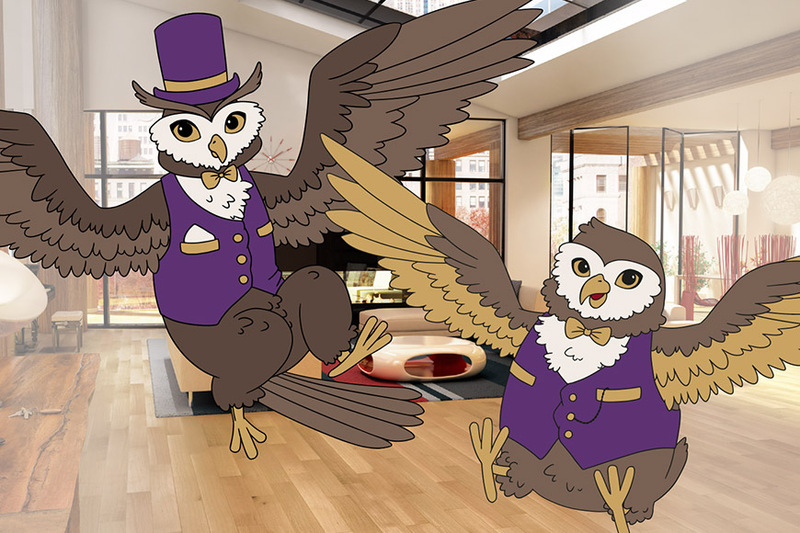 The Luxury Flooring Owls were based on the two owners, and illustrated free-hand. Some remained as sketches to illustrate certain sections and others were turned into attention-grabbing vectors. 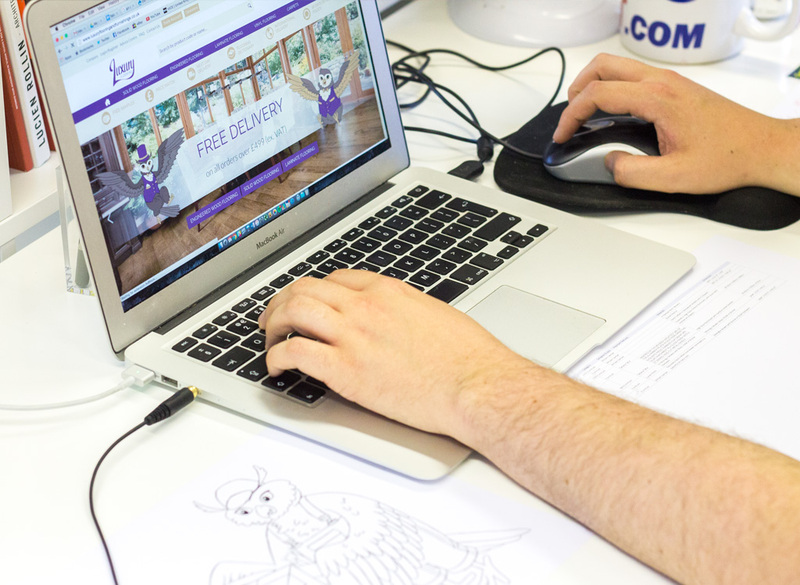 All illustrations were drawn with the site design and brand in mind. 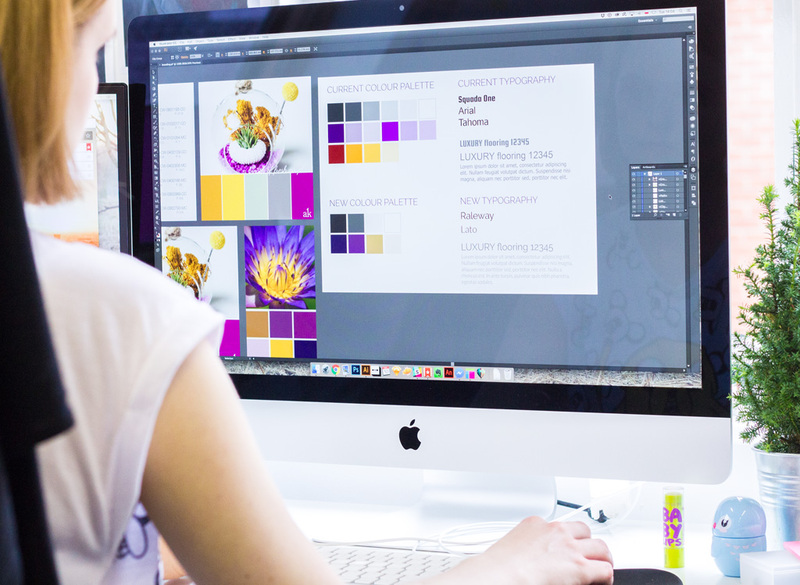 Creating an eCommerce site that doesn’t simply sell products in quantities is a hard feat. We managed to create a quantity calculator based on the area required, which makes buying new flooring easy-peasy. Our flawless one-step checkout reinforces this ease-of-use. 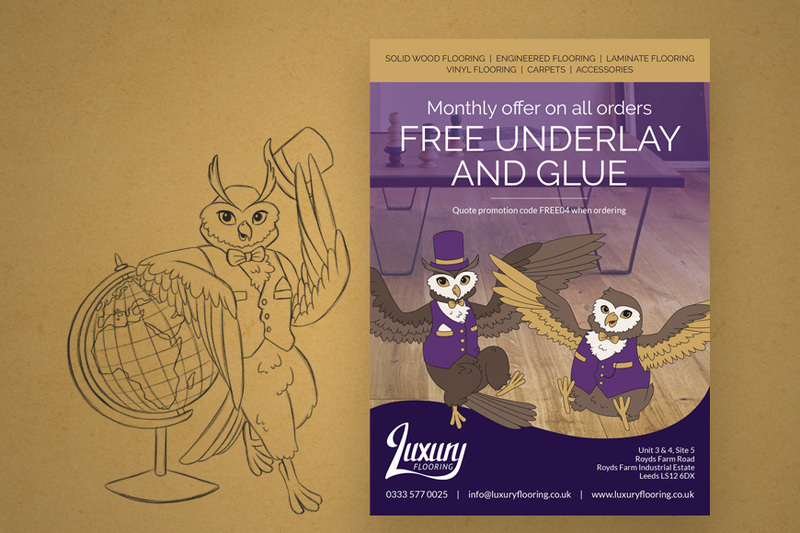 The microcopy we wrote ensured the site-wide content supported the vibrant brand and our designs – the fun and conversational tone was used across all channels including print and email. 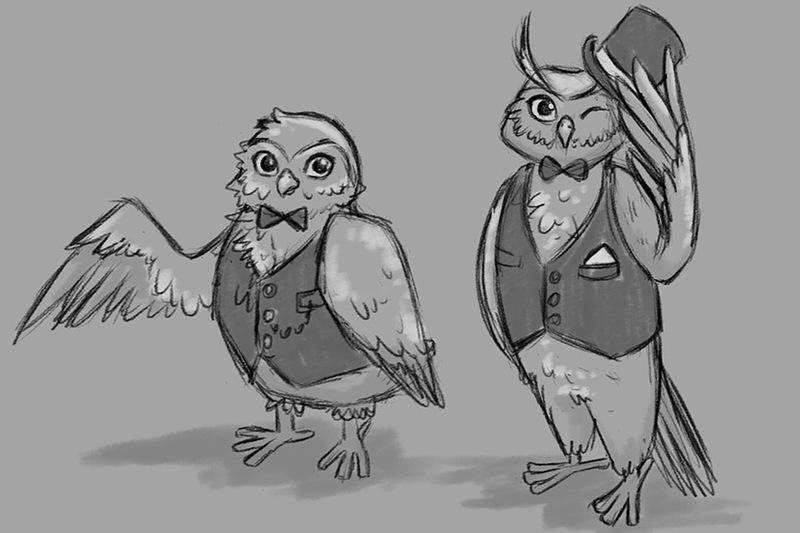 It largely reflected the personalities of the owl characters we created!